A Japanese volcano which featured in a 1960s James Bond movie shot smoke and ash thousands of metres into the sky on Tuesday, prompting the cancellation of flights to and from a nearby airport, with the eruption likely to continue for some time. Shinmoedake, in a largely rural area some 985 km (616 miles) from Tokyo on Japan's southernmost main island of Kyushu, had been erupting on a smaller scale since March 1, when the entrance to the 1,421 metre-high peak was restricted. 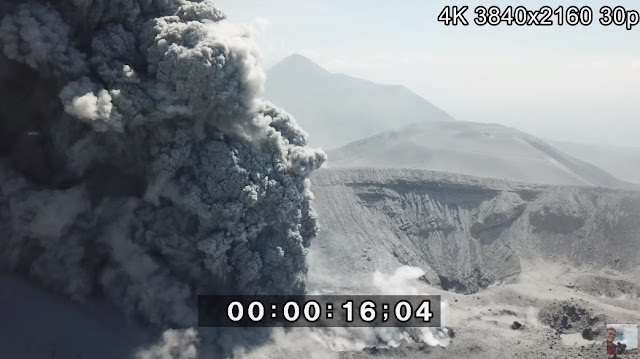 Television footage showed smoke and ash billowing high into the sky, with lava visible deep inside a crater at the mountain, which featured in the 1967 James Bond movie "You Only Live Twice". NHK public television said the smoke and ash had risen as far as 3,650 metres in the peak's strongest eruption in seven years. "The mountain has been erupting for a while, but this is the strongest day yet," said an official at the Japanese Meteorological Agency. "This will go on for a while." Some 65 flights were cancelled, NHK added.